Foothills specializes in local and pasture-raised meats, handmade deli meats, dry-aged beef and heritage pork. Since 2002, we've remained dedicated to the highest quality of sustainable, ethical meat and food service, working closely with small farms we know and trust. From our butcher shop to our restaurants and nationally famous food truck, our team serves Asheville, Black Mountain and the surrounding areas with delicious food for the whole family. We offer custom-cut and handcrafted products sourced only from local, pasture-raised meats while adhering to a whole animal philosophy that directly benefits our farmers. Foothills Butcher Bar is a neighborhood restaurant and bar that includes a butcher case featuring our fresh, local products to take home. 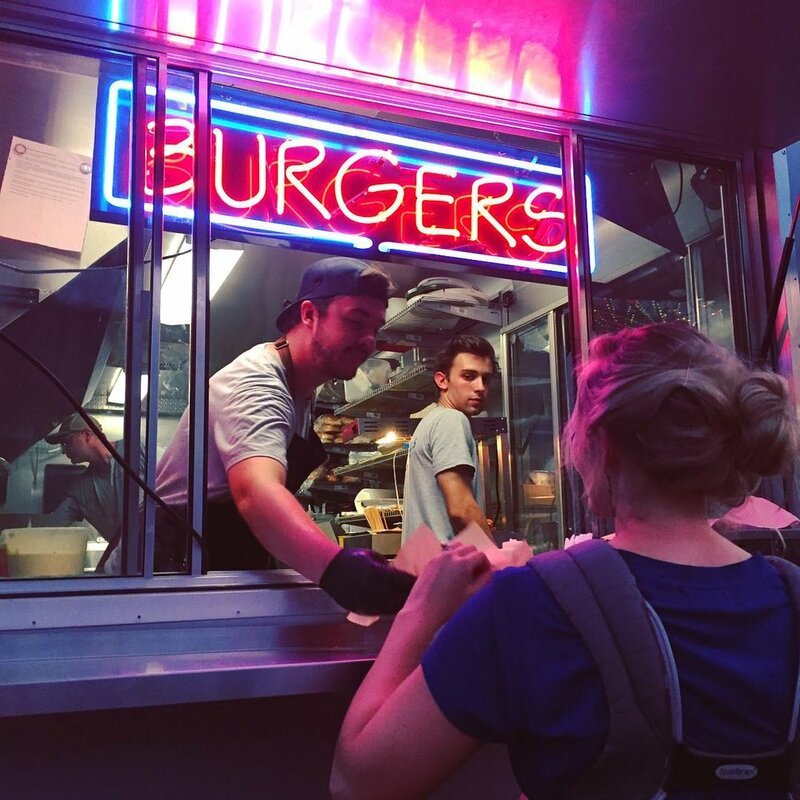 Foothills Food Truck, permanently located at Hi-Wire Brewing's Big Top in Biltmore Village, features a delicious classics menu that has received national acclaim. Enjoy housemade hot dogs, cheeseburgers, sandwiches and more. Our famous sold-out dinner series is back. Every Thursday night, our chefs serve an incredible multi-course dinner for an intimate group of no more than 12-15 people. We’re changing the way you buy meat. We buy big pieces of meat from small, family farms and our butchers and chefs turn them into delicious food. All of our meats are raised with no added hormones or antibiotics and come from small farms in North Carolina. Join us for brunch, lunch, dinner, and everything in between. Honest meals you can make at home. Want meal inspiration with local, pasture-raised meats? We've got you covered with our Foothills Honest Meat Boxes. Honest Meat Boxes are here to inspire your next meal. Not quite a meal kit, but more like a curated box of meal items. Simply choose your desired theme (Breakfast, Lunch, The 828 Vacation, Grill Box, Charcuterie Snack), place your order, and pick up your meal box on your desired date & location. Want to keep regularly stocked with all local meat from small farms? We offer a Butcher's Choice Box subscription program that helps you save money each month on bulk, pasture-raised raw meat. Freezer-friendly, easy to order, simple to pick up. Each box has an information card so you can learn more about the goodies inside. Plus, recipes are added weekly to our Blog to inspired confidence in the kitchen.